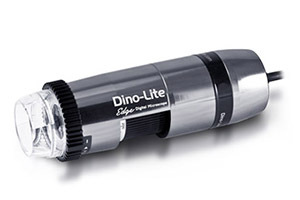 The Dino-Lite Edge 5MP series, including AM7115 and AM7515, were designed to meet the needs of higher image resolution, superior image quality and greater flexibility in use. The 5MP Edge series retains all the features and options available in the 1.3MP Edge series, but added with Flexible LED Control (FLC) feature and new generation metal-housing design. Thanks to low-loss compression, the 5MP Edge series is able to deliver crisp image quality at moderate frame rate over USB2.0.